Author: Dr Kang-San Tan, Head of Mission Studies, Redcliffe College. 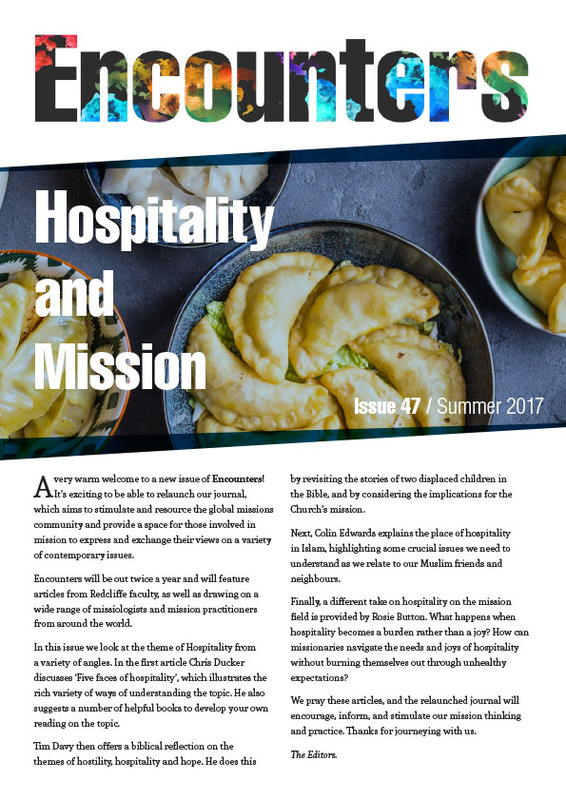 After almost five years as editors of Encounters, Rob Hay and Jonathan Ingleby have handed over their responsibilities to a new editorial team – Dr Kang-San Tan, Dr Rob Cook, Tim Davy (already part of the team) and Gillian Turner (assistant) – who will be carrying on the work and renewing the vision of the Journal. The Journal will move from being bi-monthly to quarterly, appearing at the beginning of March, June, September and December. While this edition focuses on the environment, future editions will reflect on mission in Europe, Bible and mission and Asian mission movements. We owe a great debt of gratitude to all that Rob and Jonathan have achieved in the last five years. I am sure you would want to join us in thanking them. We look forward to working with you, our readers, as we seek to continue their excellent work in promoting more and better reflection on God’s mission in the world today. This is as urgent as it ever was.